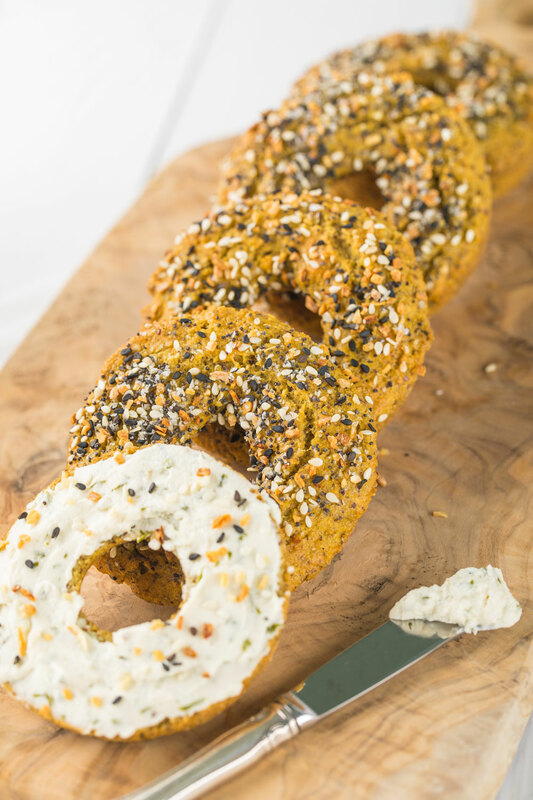 FIY – If you are in the mood for a sweeter bagel, remove the sea salt from this recipe and add 1 teaspoon of cinnamon and 1 tablespoon of raisins. You can even add a teaspoon of honey if you like. Once you place the bagels in their trays, top each bagel with a few raisins and bake for the same time. STEP 2. In a food processor, add all of the ingredients in order, without the Trader Joe’s seeds & cooking spray. Pulse until well combined. If you don’t have a food processor, use a form and a mixing bowl. STEP 3. Place batter into a plastic ziplock bag and cut a small hole in one of the corner. STEP 4. Lightly grease donut molds with cooking spray. Squeeze out the bagel batter into each mold evenly. STEP 5. 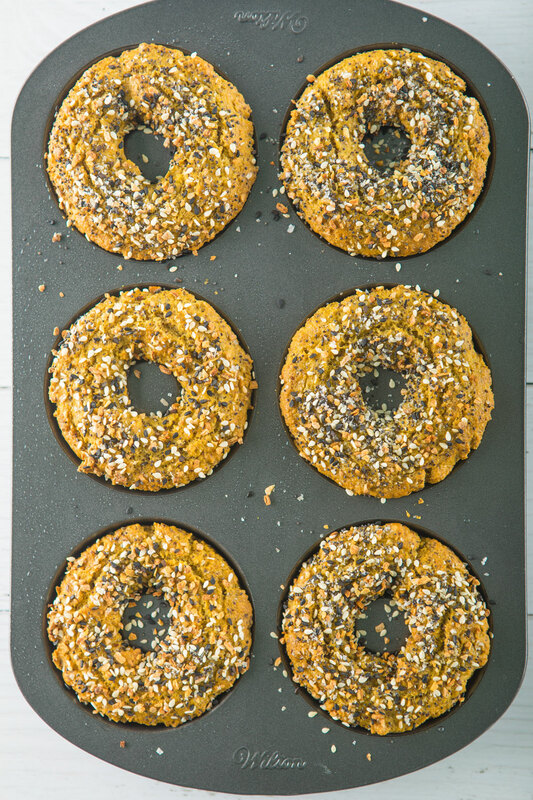 Sprinkle bagels with everything but the bagel seeds and bake for 20 minutes, until golden. Nedi’s Tip: You can refrigerate the bagels for five days or store in freezer and reheat in toaster or oven. What are the nutrition facts per bagel? Is there honey in the bagels? It is not listed in the ingredient list but you mention above in comments? Also the nutritional information you list is different than you mention in comments. Which is correct? I just changed the recipe, there is no honey in it anymore! Can you sub anything for the flax? Can’t eat flax seed. Thanks! What can be use as an alternative to almond flour? I’d love to make, but I have a nut allergy. 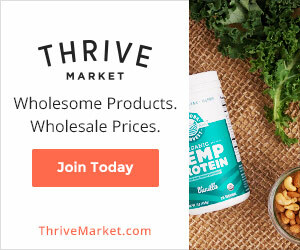 Try cassava flour, tiger nut or substitute 1 cup of almond flour with 1/4 cup (1 ounce) of coconut flour, and add one egg for every 1/4 cup of coconut flour used in addition to the eggs called for in the original recipe. Most people who are allergic to tree nuts can safely eat coconut. could this be done in a vitamix? thank you!! You don’t have to use a food processor or vitamix. Try it by hand, mixing in a large bowl with a fork always works!